You’ve seen the photos, now come taste the food! 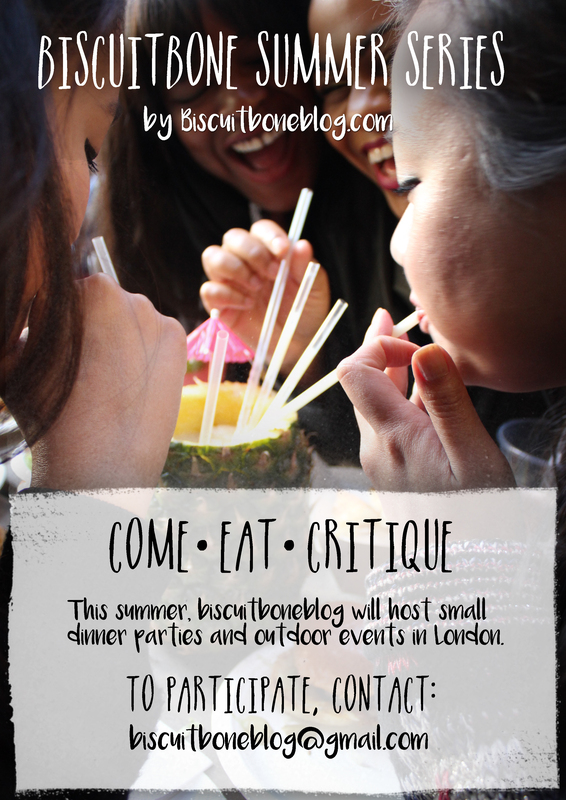 This summer, we’re inviting you to try out and critique our recipes! For those of you who plan to be in London, we’ll be hosting small dinner parties and daytime events every weekend in June & July. Come by, try our food and give us some feedback! Brilliant! Wish I could come.